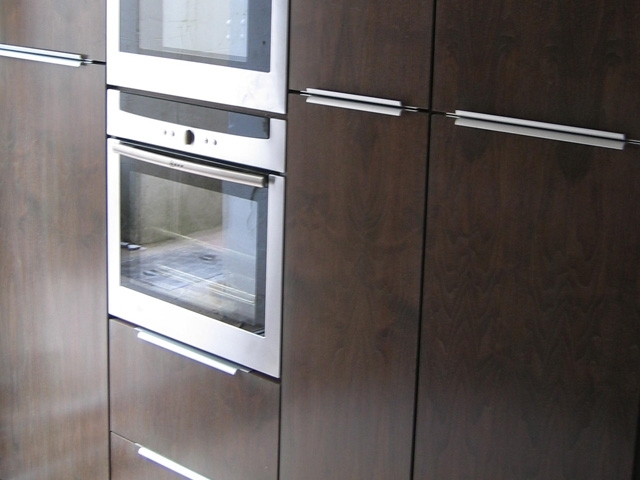 This is a walnut kitchen built to the customer's specifications in lime walnut semi gloss, all soft closing doors and drawers, top cupboards with lift up doors and soft closing when shut. It has a large drawer front when open it has two smaller drawers inside for your utensils etc. Handles chosen by customer, fitted in the city of Brighton.